The first month of 2017 brought a new beginning and a long-term milestone to the Center for Independent Futures staff. Chrissy Lewis joined the staff as a Full Life Process Consultant. 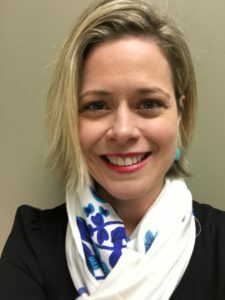 With our schools consultation team, Chrissy will support schools to use our innovative Full Life Process software to help students set goals, access resources and curriculum, and communicate with their entire support team. Chrissy began her career in sales and marketing before earning her master’s degree in education. She gained experience as a teacher, case manager, and guidance counselor in Chicago Public Schools while receiving a master’s degree in counseling. After transitioning into the non-profit sector, Chrissy joined Center for Independent Futures to advocate for educational access and resources for students with disabilities. 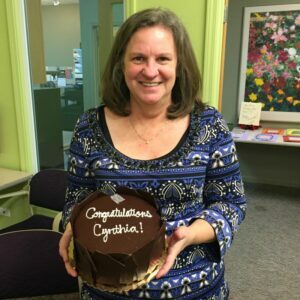 While welcoming a new member, the staff also commemorated a milestone as Cynthia Witherspoon celebrated ten years of working for Center for Independent Futures. Currently a Community Life Coordinator and Life Skills Tutor, Cynthia has also worked on the school consultation team and supported the administrative operations of the organization. We’re grateful to Cynthia for all of the effort, insight, compassion, and humor she has shared with us over the past decade.